AHHH! I TOUCHED POISON IVY. WHAT NOW? Poison ivy, oak, and sumac can cause an itchy, blistering rash after coming into contact with an oil called urushiol (oil that is found on the plants). The rash typically does not occur for 24-72 hours after coming into contact with the oil from the plant. The rash may look scary, but it is not contagious and does not spread. The rash appears only in places where the oil has been in contact with. The rash begins with itchy skin which then turns into red streaking and bumps. Some people can get urticaria (hives) and swelling.These can then turn into blisters and possible areas of crusting. Treatment is varies based on the severity. A majority of the time, it will resolve on its own with good personal hygiene in mind. Sometimes your provider will give you a topical steroid or even an oral steroid. If the lesions are draining pus or the area is warm/swollen, an antibiotic can also be prescribed. The rash with or without treatment usually lasts between 1-3 weeks. Gardening suggestions: wear a wide brimmed hat, apply SPF >30, wear loose fit cotton clothing that are have long sleeves, and drink plenty of water. Seborrheic dermatitis is a common, harmless, chronic condition which causes redness and scaling in areas where oil glands are most active. The most commonly affected areas are the face and scalp. On the face, it can appear within the eyebrows, edges of the eyelids, creases on the sides of the nose, and ears. On the scalp, it can affect small patches or the entire scalp including the hairline. Lesions may or may not be itchy but most patients complain of irritation. Some patients are worse in the winter, dry environments, or when indoors for long periods of time. Other patients flare up with prolonged sun exposure while others get better with it. Every patient is different! When infants get it, it is called “Cradle Cap” – this is when yellow-orange scales on scalp appear with redness underneath. 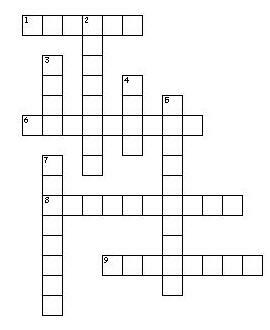 This typically resolves with medication and age. Sometimes seborrheic dermatitis on the scalp can be mistaken with psoriasis. It is so common that it affects a majority of people at some point in their lives. People who have HIV, drink alcohol heavily, Parkinson’s or history of stroke are prone to the condition. As the condition is chronic, it can be difficult to treat at times. Treatment tends to be done on a regular or intermittent basis in order to prevent flare ups. For the scalp – ketoconazole shampoo, ciclopirox shampoo, selenium sulfide, pyrithione zinc, coal tar, or salicylic acid can be used 1-3x/week +/- a topical steroid to prevent itching and inflammation. For the face – medicated face wash twice a day along with medicated creams such as topical antifungals, topical calcineurin inhibitors, or topical steroids. Medicated shampoos can cause the strands of hair to become dry and brittle at times. Therefore it is recommended to moisturize the strands of hair. Petroleum jelly worsens seborrheic dermatitis. Try one of the products from the Nature’s Blessings line to moisturize your hair. They are sold in our office! Ask your provider today to see which product they recommend for your hair type. MY DOCTOR DIAGNOSED ME WITH ATOPIC DERMATITIS: NOW WHAT? You are reading this because you have recently been diagnosed with atopic dermatitis (eczema) or you are curious to learn more about it. Eczema is a common condition that causes dry, red, and itchy skin. Although eczema is most common in childhood, it can appear at any age. It is typically caused by genetics and a variety of environmental factors. Unfortunately there is no permanent cure but there are a vast amount of medications and over the counter topical therapies that can be used to control flare ups. Shower once daily with warm water, not hot (recommendation: if you have a mirror in your bathroom, be sure it does not get foggy. If it does, the water is too hot). Pat dry after bathing and moisturize directly after bathing with a moisturizer of your choice while still in the bathroom. This will lock in moisture for optimal results (recommendation: CeraVe cream, Aveeno Eczema balm, Aquaphor, Eucerin). Watch for triggers. Many patients flare due to season change, scented soaps and lotions, or even detergents. The more you avoid these triggers, the less severe the flare. Avoid scratching as much as possible. Although the condition is itchy, it is important to note that the skin barrier gets damaged during flare ups. As our nails carry bacteria, it is easy to introduce them into our skin through the damaged skin barrier. Infections = bad news. You can use over the counter antihistamines in order to control the itch. Although this will not completely relieve the sensation, it will help reduce it. Atopic dermatitis is sometimes at its worst between the ages of 2-4. Sometimes eczema can be occupational (hairdressers, farmers, carpenters, cleaners, etc.). Eczema can go hand-in-hand with allergies and asthma (also known as the atopy triad). Those who have one of the three are more susceptible to the others. Treatment for eczema is typically intermittent and can vary between topical corticosteroids, topical calcineurin inhibitors, antibiotics, antihistamines, intralesional corticosteroids, phototherapy, or oral corticosteroids. Usually a combination of medications are used for optimal results depending on the severity, age of the patient, and location of the flare up. Eczema is a complex condition that medical professionals are learning more and more about each day. In the past 2 years alone, 2 new medications have been brought into the market to treatment eczema. First and foremost, every patient that walks through our door has a different lifestyle, skincare routine, and diet. The one constant that seems to be the same across the board is, wanting clear skin.Treating acne is not an easy task, it requires your provider to build an entire skin care regimen that can fit your lifestyle. Many providers, depending on severity of acne, will start you on a face wash (over the counter or prescription strength), topical medication(s), and possibly offer you acne surgery or oral medications. 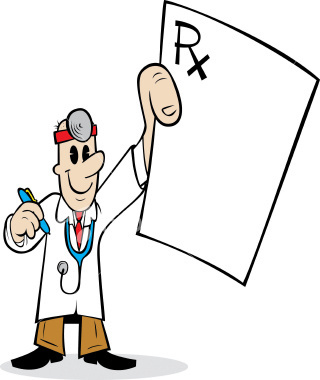 You as the patient and your provider will come up with a routine that works best for you. Due to the chemical makeup of a majority of these acne medications, it takes time for them to start working. We recommend that you are compliant and consistent with the usage for optimal results. Also, reading the instructions on the packaging is key for correct application technique. Using exactly how much is recommended will help prevent side effects such as: burning, stinging, and overall irritation. Less is more in this situation. Cleansing your face. Picking a good cleanser can be stressful and we get that. When you come in for an appointment, we can pick one that best matches your skin type. Depending on what you need, we may recommend a gentle cleanser, cleansers with glycolic or salicylic acid, or even prescription strength cleansers. It is important to wash your face twice a day. Sunscreen application. We cannot stress the importance of sunscreen application enough to our patients. For our acne patients, we recommend purchasing a moisturizer with a built in sunscreen with an SPF >30. Many acne medications can cause sun hypersensitivity so this is a must. Keeping fresh products. For many females, applying makeup on a day-to-day basis is the norm. Make sure you toss out your old makeup (expiration date is on the back of the packaging usually) and keep your makeup brushes and sponges clean. These can carry tons of bacteria and worsen your acne. Hydration. Keep your skin hydrating using a good moisturizer (see recommendations above with added sunscreen). Keep your body hydrated by drinking plenty of water throughout the day. It is recommended that you drink 2 liters of water a day. In addition, eat clean. You’ll look good and feel good at the same time. Alopecia areata (AA) is an autoimmune form of hair loss in which the body’s immune system attacks its own hair follicles, which it should not do. Like many other health problems, it sometimes starts after a stressful event. Affected areas are usually circular, unless they involve the hairline. They can vary in size and can involve any hairs on the body – scalp, eyebrows, lashes, and even body hair. The form of hair loss may improve spontaneously, but because we have no idea of when this may occur (weeks to years), we provide treatment. We also often recommend patients visit the website for the the National Alopecia Areata Foundation (www.naaf.org). PEDICURE SAFETY – Do you know how to keep your tootsies safe during a pedicure? Be sure the salon has a current state license displayed and that the pedicurist is also licensed by the state board. Ask how the footbaths are cleaned. The bacterial are trapped in the filter, which should be cleaned frequently. A bleach solution should be circulated for 15 minutes. Do not shave your legs for at least 24 hours before your pedicure. Small nicks from shaving allow bacteria to invade your skin. Make sure the salon sterilizes clippers and metal instruments between clients. Items that cannot be sterilized (such as files, emery boards, etc) should be new for each client. Better yet, bring your own. Do not let the pedicurist cut cuticles or trim dead skin around your nails. If the pedicure spa tub does not look clean, forgo the pedicure and go somewhere else! ARTAS ROBOTIC HAIR TRANSPLANT UPDATE! 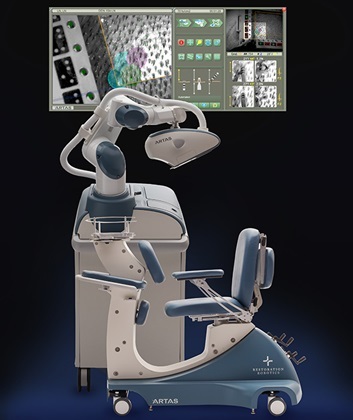 Edwards Hair Restoration and Dermatology Group has the first ARTAS System robot for hair transplantation in Metro Detroit! Robotic technology allows for permanent hair restoration WITHOUT the pain and stitches associated with traditional hair transplants. Recovery time is fast, with most patients returning to work and other activities within a few days. How does it work? The ARTAS robot identifies your optimal hairs to use for transplant (these hairs are typically taken from the back of the head). Hair is then selectively harvested with robotic precision to preserve the natural look of your donor area. Dr. Edwards then transplants the hair into the thinning and bald areas. Patients observe noticable, permanent, thicker hair growth in 4-6 months. This hair will continue to fill in over the next year. The ARTAS robot was designed with the patient in mind. In the past, hair transplants could be a difficult proposition. Patients feared unnatural or pluggy results. Previous transplant techniques were more invasive, requiring stitches and many weeks of recovery time. Even after recovery, patients often lived with an annoying and obvious line scar in the back of the head, resulting in the feeling of scalp tightness and hair style limitations. With the ARTAS robot, patients can now expect great-looking results without the downside of older techniques. Hair plugs, invasive surgery, and long recoveries are things of the past. ur specially formulated Double Action Cleanser removes dead skin cells that can interfere with proper oil drainage of the skin. The cleanser contains ultra pure glycolic acid coupled with the proven acne fighting ingredient salicylic acid. Salicylic acid helps to reduce the number of acne blemishes & blackheads and allows the skin the heal. Both glycolic and salicylic acid assist in the fading of dark spots. 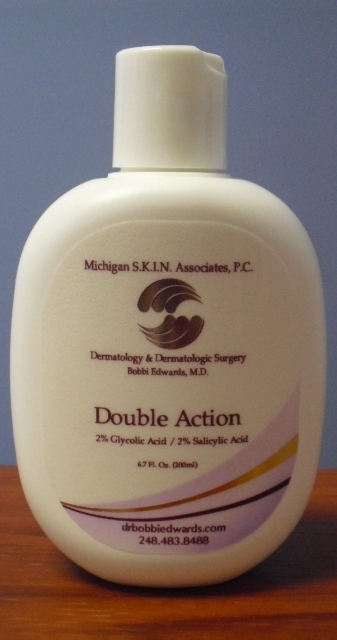 Double Action Facial Cleanser – $16 plus tax. Androgenetic alopecia (AGA) is a form on non-scarring hair loss that is genetically-influenced. It can affect both men and women. AGA is a progressive form of hair loss that requires ongoing treatment to maintain the hair. Genetic hair loss is the most common type of hair loss in the world. This diagnosis of AGA can be confirmed by scalp biopsy. If you think you may be affected by genetic hair loss, schedule your hair loss consultation with Dr. Edwards right away. The sooner you start treatment, the better the change of your maintaining and regrowing your hair. Treatment options for genetic hair loss can include Rogaine, Spironolactone (only for women with AGA), Propecia (only for men and some post-menopausal women), low level laser, platelet-rich plasma injections, and hair transplant surgery. Combination therapy tends to be more effective in maintaining control of genetic hair loss. Benzoyl peroxide is an importance topical medicine that we use in the treatment of acne. When applied to the skin, it makes the skin cells turnover more quickly and causes the skin to peel. More importantly, benzoyl peroxide kills the bacteria that contributes to acne (Propionibacterium acnes) and helps to prevent antibiotic resistance. Benzoyl peroxide is available in many over the counter acne preparations. It can also be found mixed into prescription topical agents to help the prescribed acne medicine work more effectively. 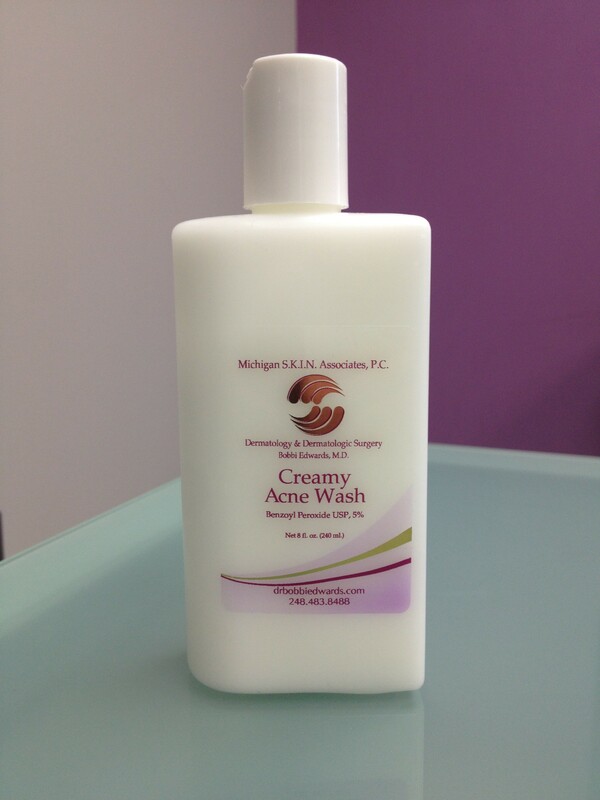 Our exclusive Creamy Acne Wash is a specially-formulated and designed to thoroughly cleanse acne-prone skin. The wash contains 5% benzoyl peroxide, an ingredient proven to kill the bacteria that contributes to acne and prevents bacterial resistance to other acne medications. Our acne cleanser is soap-free and less irritating to the skin compared to other benzoyl peroxide washes. 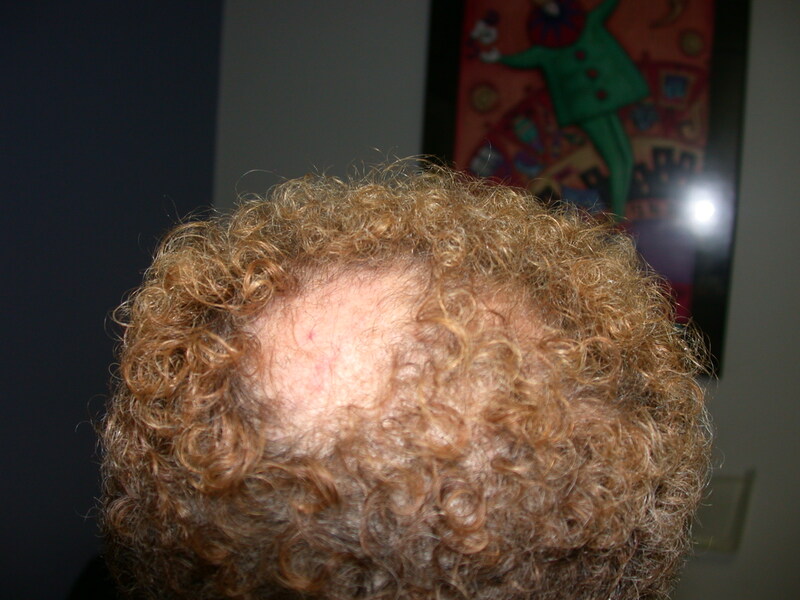 Platelet rich plasma (PRP) injection is a newer treatment for genetic and other types of hair loss. The process involves injection of the patient’s own growth and healing factors (collected through a simple blood draw from the arm) into the scalp to reverse hair loss and stimulate new hair growth. 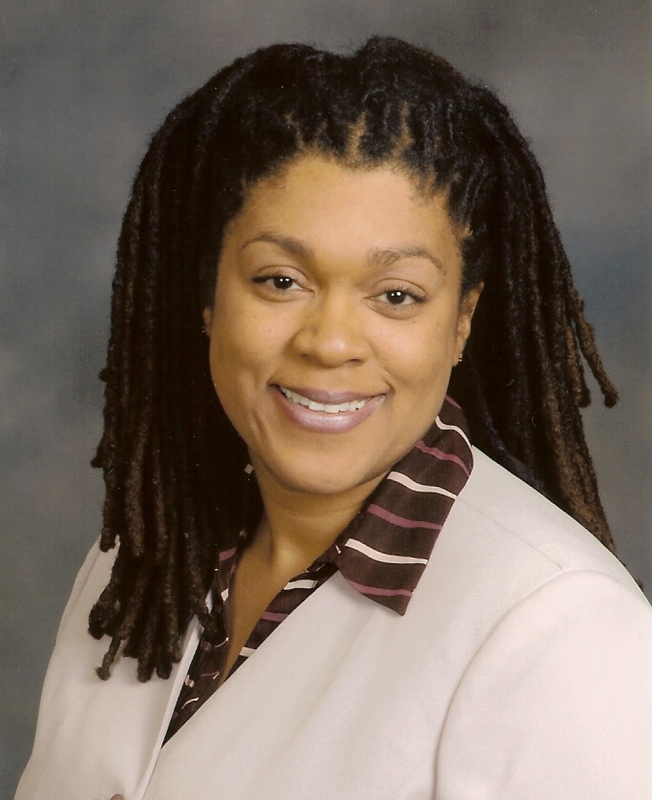 The injections are administered 1-2 times per year by Dr. Edwards. Multiple treatments are required for maximum effect. PRP with stem cells utilizes injection of PRP along with a patient’s own adult stem cells into the scalp to reactivate hair follicles to start regrowing hair. All cells in the body, including hair follicle cells, are derived from stem cells. Adult stem cells are collected from fat cells in the abdomen through liposuction. The stem cells are harvested and reinjected into the thinning areas of the scalp. This is recommended for severe cases of scarring hair loss where transplant is not an option. Our staff is happy to discuss with you whether PRP is an option for your type of hair loss. Patients receiving treatment for hair loss are often recommended to take a vitamin supplement containing biotin. Biotin, a member of the Vitamin B family, is used to improve hair strength and prevent hair growth from being stunted. Although there are no good clinical studies to support the effectiveness of biotin supplementation in patients experiencing hair loss, there have been so many patients who report improvement that dermatologists continue to incorporate it into hair loss treatment. In general, it is difficult for vitamins to reach the hair follicle (the root of the hair) and benefit hair growth. Applied externally, vitamins need to penetrate into the deepest layers of the scalp skin to enter the hair follicle. Taken internally, vitamins have to go through one’s gut, bloodstream, and organs before even reaching the hair. 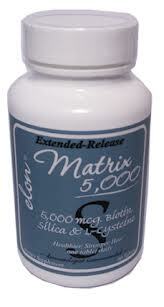 Therefore, higher doses of biotin are usually required for hair loss patients to observe any benefit. Topical retinoids are a class of rub-on medications that are commonly prescribed for the treatment of acne. Derived from Vitamin A, topical retinoids act by increasing skin cell turnover, thus restructuring disorganized skin cells and unclogging pores. Retin-A is the oldest and most famous of the retinoids, but there are many other options now available – common brands include Ziana, Atralin, Retin-A Micro, Epiduo, Differin, and Tazorac. Topical retinoids are typically prescribed for patients to use at night after cleansing their skin. These medicines are very powerful, so they are to be applied sparingly to the face. In face, a pea-sized amount is enough to cover one’s entire face! Patients are often advised to apply a moisturizer along with their retinoid to help prevent dryness and irritation from the medications. As with all acne medicines, topical retinoids take some time to show results. Acne improvement often occurs 6-8 weeks after treatment is started. There are some cosmetic perks to using a topical retinoid. The dark spots that are leftover from old acne breakouts fade more quickly when a retinoid is used. Patients often observe more even skin tone and texture, as well as a visible reduction in fine lines, wrinkles, and pore size with use of these medications – all the more reason to be consistent with your prescribed acne regimen! 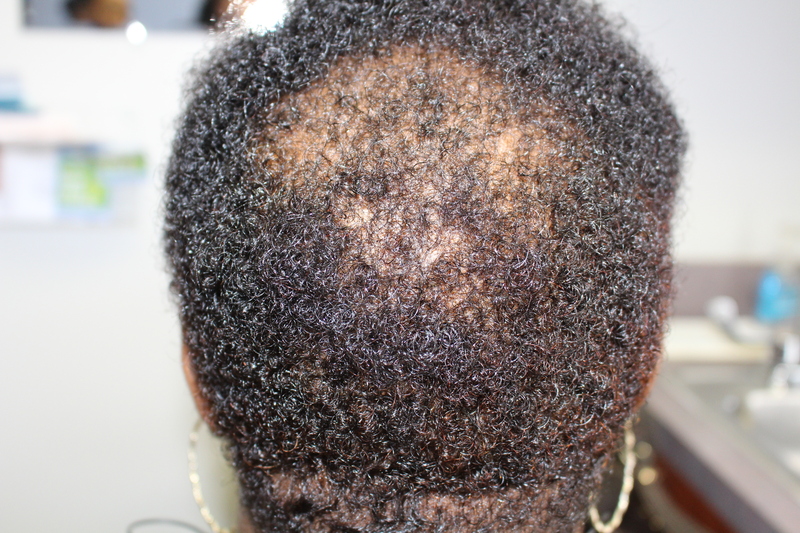 Traction alopecia is a form of scarring hair loss that results from chronic pulling of the hair. Scarring hair loss, if left untreated, can result in permanent loss of the hair follicle. 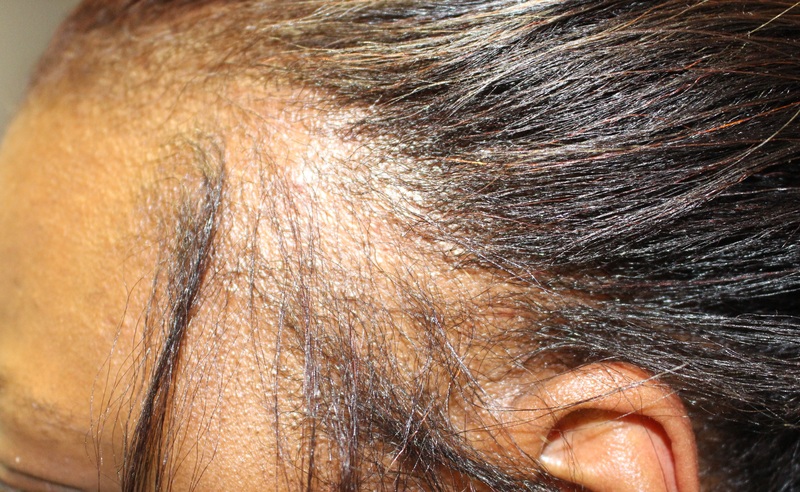 Traction alopecia may be caused by hair styles (braids, weaves, ponytails), or aggressive brushing or hair pulling. It usually affects the hairlines, but in the case of ponytails, may affect the top or back of the head. This type of hair loss is initially reversible, but over time, if can result in permanent scarring of the follicle. Treatment typically involves cortisone injections to the affected areas of the scalp. Topical steroid medications are often prescribed for the patient to apply to the scalp at home. Gentle hair care and avoidance of pulling the hair is imperative to correct this form of hair loss. If medical treatment fails to improve the problem, hair transplant is indicated. Telogen Effluvium (TE) is a form of hair loss that is seen after severe physical or emotional stress, especially childbirth and surgery. A large number of hair is pushed into a shedding phase where too much falls out at once. We are always losing some hairs, but generally <15% are falling out at any one time. In TE, the hair fall out at a greater rate and can make the affected areas look mild-to-severely thin. This form of hair loss usually recovers spontaneously in 1 year or less, but rarely can become long-lasting. If treatment is needed, both topical steroids and in-office cortisone injections can be used. Spring has sprung and it’s that time of year to start thinking about sun protection. Many acne patients are hesitant to apply sunscreen to their faces out of concern that it will clog their pores and worsen their acne breakouts. However, acne medication (whether they are topical or oral) will make the skin burn more quickly upon exposure to ultraviolet light, so sun protection is critical. Fortunately, there are MANY great facial moisturizers with sunscreen available for acne-prone skin. When purchasing a moisturizer with sunscreen, you want to choose a product that has an SPF 30 or higher. Ideally, the product should have “broad-spectrum coverage,” which means it protects against both UVA and UVB rays. Look for the words “non-comedogenic” on the packaging – this indicates that the product will not clog pores and is safe for acne-prone skin. Normal skin / individuals with dark spots left over from old acne – Aveeno Positively Radiant SPF 30. 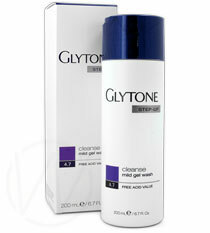 Our #1 best-selling product, Glytone Mild Gel Wash, contains free glycolic acid to thoroughly remove make-up, dirt, oil, and dead skin cells, leaving skin soft and smooth. It can also be used as a part of an effective anti-aging skincare routine. Ask to speak with our staff about adding Glytone to your facial regimen. It’s time to get ready for summer… be sunscreen savvy! When selecting a sunscreen, choose a product that has “broad-spectrum coverage” and has an SPF or 30 or higher. For the face, make sure the product is “non-comedogenic” (i.e. doesn’t clog pores). Apply the product to sun-exposed skin areas 20 minutes before going outdoors. Reapply sunscreen every 3 hours while outdoors and every 1 hour while in the water. Wow!!! I just ran across this on Facebook, and was amazed and shocked. CLICK HERE FOR VIDEO This video has 27,688,283 views… +2… I had to watch it twice. The post that came along with the video said “flat curlers.” My reaction was “Really?” As much as I talk about styling being traumatic, including heat styling, this would go beyond the pale. So… I tracked down the source of the video. As is often the case after multiple shares, it turns out the message got twisted. It wasn’t curling at all. 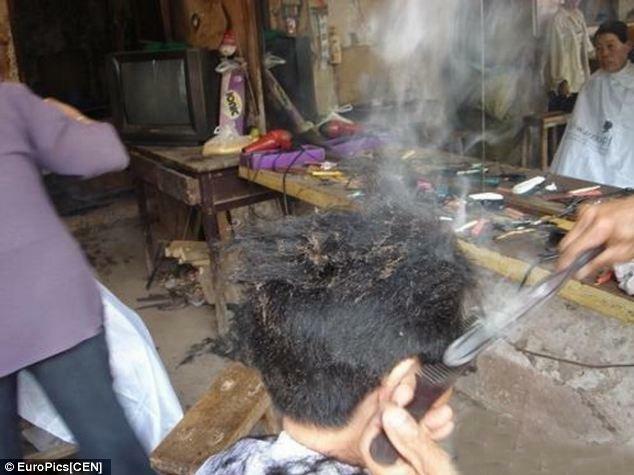 This is the ancient art of Dahuojia hairdressing, which involves using a pair of red hot metal clamps to burn off hair rather than cut it. Yikes. Although faster, it’s reminiscent of what so many of us have seen for years and years in the basement shop – the look and sound of burning hair – my memory goes right to that familiar smell, too. This video shows one of the last Chinese barbers practicing this art. 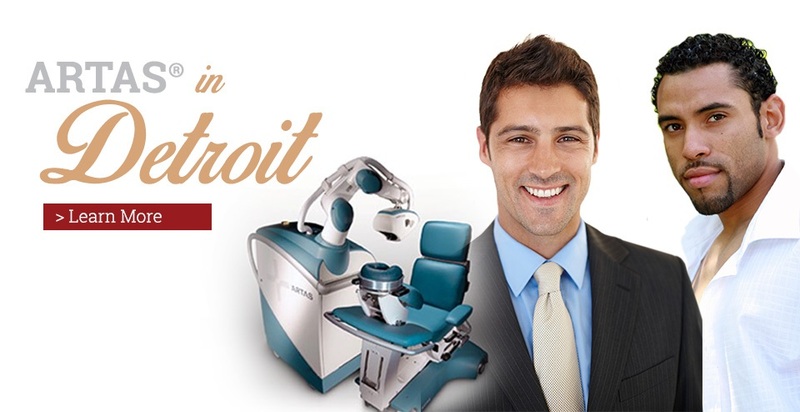 Edwards Hair Restoration and Dermatology Group is excited to announce the arrival of the first ARTAS System robot for hair transplantation in Metro Detroit! How does it work? The ARTAS robot identifies your optimal hairs to use for transplant (these hairs are typically taken from the back of the head – see video clip here: http://youtu.be/XQwiOQMLl4U). Hair is selectively harvested with robotic precision to preserve the natural look of your donor area. Dr. Edwards then transplants the hair into the thinning and bald areas. Patients observe noticeable, permanent, thicker hair growth in 4-6 months. This hair will continue to fill in over the next year. The ARTAS robot was designed with the patient in mind. In the past, hair transplants could be a difficult proposition. 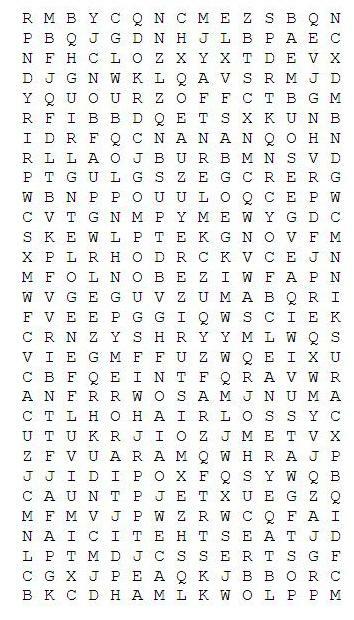 Patient feared unnatural or pluggy hair results. Previous transplant techniques were more invasive, requiring stitches and many weeks of recovery time. Even after recovery, patients often lived with an annoying and obvious line scar in the back of the head, resulting in the feeling of scalp tightness and hair style limitations. With the ARTAS robot, patients can now expect great-looking results without the downsides of older techniques. Hair plugs, invasive surgery, and long recoveries are things of the past. 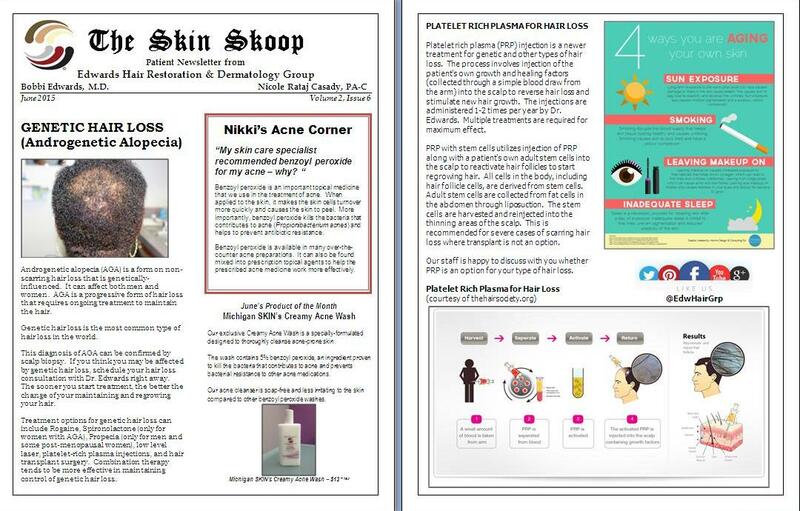 Nikki’s Acne Corner – What’s the difference between Acne and Rosacea? Acne and rosacea are two very common skin conditions that we treat on a daily basis. According to the American Academy of Dermatology, an estimated 40-50 million Americans suffer from acne at any one time – acne is the most common skin problem in the U.S. (AAD reference). The National Rosacea Society estimates that 16 million American suffer from rosacea, the majority of which go untreated (NRS reference). While both conditions can cause red, inflamed bumps on the face, acne and rosacea are different and often require a different approach in treatment. 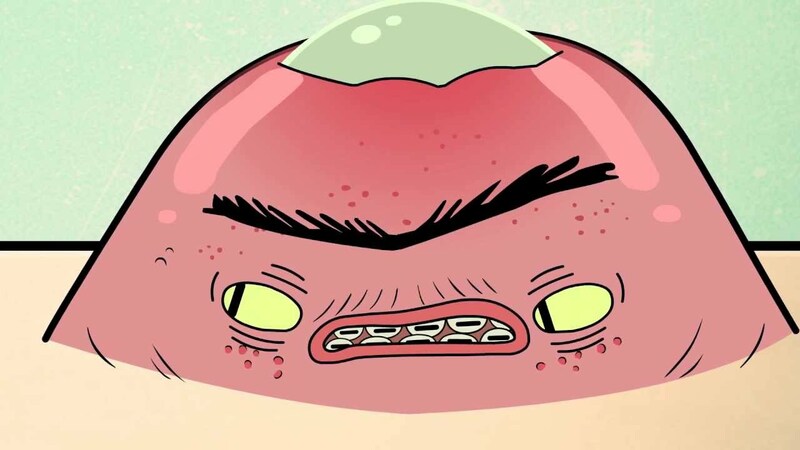 Acne bumps are thought to be caused by 4 factors: blockage of skin pores, excessive skin oil production, colonization of bacteria within the plugged pore, and inflammation. It remains unclear as to what causes rosacea. Dermatology specialists have observed a genetic tendency in many rosacea patients (i.e. it tends to run in families). Some research has suggested that skin bacteria, skin mites, and certain skin proteins might play a role in the development of rosacea. Acne can appear as different types of lesions: firm small bumps (“papules”), inflamed pimples, blackheads, whiteheads, nodules and cysts. Many patients can have a combination of these different lesions. Rosacea can manifest as facial redness and enlarged blood vessels (erythematotelangectatic rosacea), bumps and pustules (papulopustular rosacea), and skin thickening and nose enlargement (phymatous rosacea). Many rosacea patients report a long history of frequent blushing and flushing of their facial skin. Rosacea patients often complain of irritated, itchy, and/or dry facial skin. To make things more complicated, it is entirely possible for an individual to have both acne and rosacea lesions on the face! While acne and rosacea are different conditions, many topical and oral medications exist to help manage both problems. 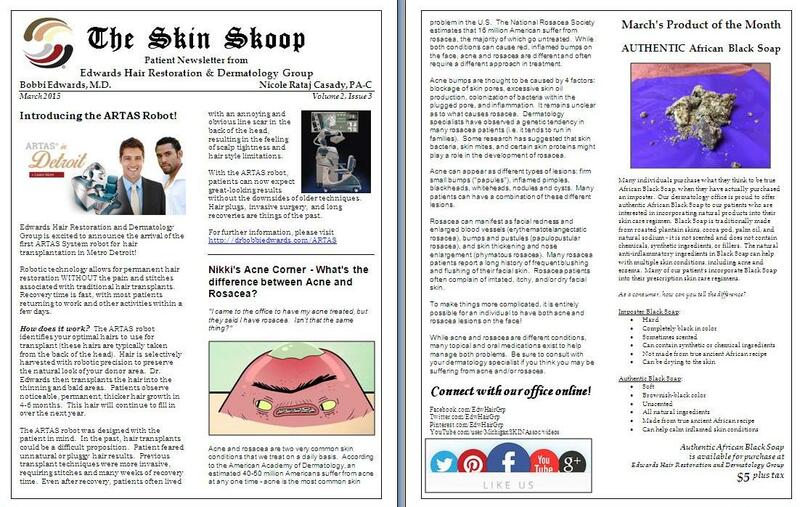 Be sure to consult with your dermatology specialist if you think you may be suffering from acne and/or rosacea. Connect with our office online! Many individuals purchase what they think to be true African Black Soap, when they have actually purchased an imposter. 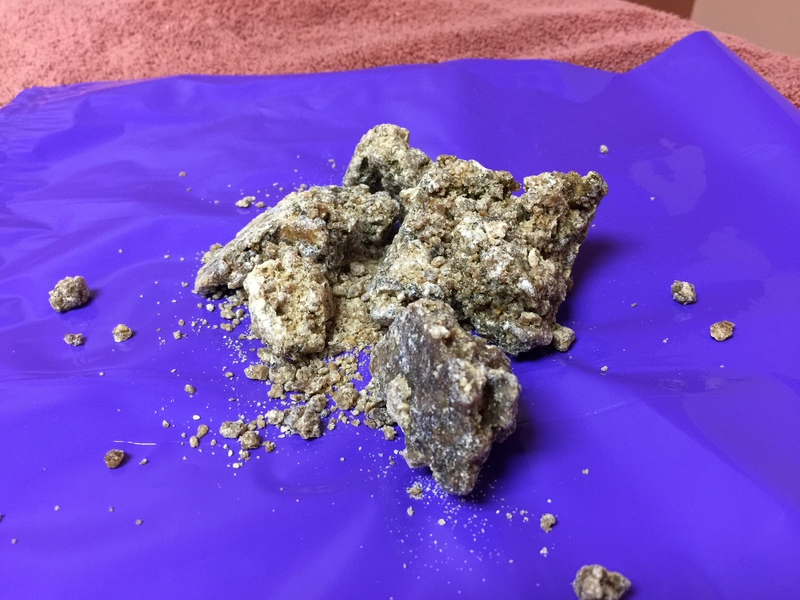 Our dermatology office is proud to offer authentic African Black Soap to our patients who are interested in incorporating natural products into their skin care regimen. Black Soap is traditionally made from roasted plantain skins, cocoa pod, palm oil, and natural sodium – it is not scented and does not contain chemicals, synthetic ingredients, or fillers. The natural anti-inflammatory ingredients in Black Soap can help with multiple skin conditions, including acne and eczema. Many of our patients incorporate Black Soap into their prescription skin care regimens. As a consumer, how can you tell the difference? Authentic African Black Soap available for purchase at our office – $5 plus tax.